Having until then recorded mostly acoustic music, Dylan used rock musicians as his backing band on every track of the album, except for the closing 11-minute ballad, "Desolation Row". 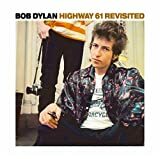 Critics have focused on the innovative way in which Dylan combined driving, blues-based music with the subtlety of poetry to create songs that captured the political and cultural chaos of contemporary America. Author Michael Gray has argued that in an important sense the 1960s "started" with this album.